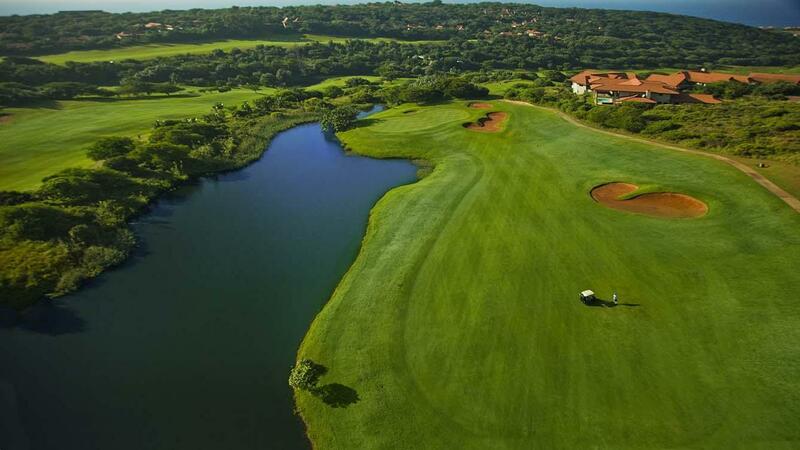 Offering irresistible ocean and forest views, exceptional water and wetland features and an inspiring natural setting, Zimbali Country Club has developed the reputation of a memorable course with charisma and challenge. 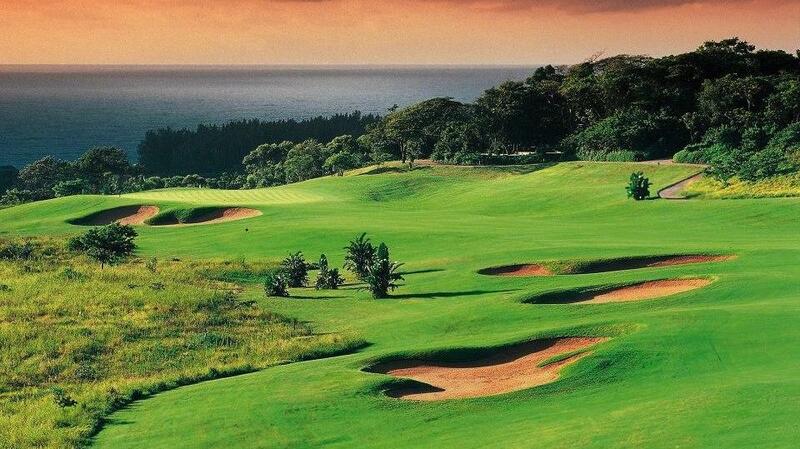 With the agenda of "conservation takes precedence," international golf course designer and former British and South African PGA champion, Tom Weiskopf, had to integrate a "cart only" course into a property with dramatic elevation changes, varying eco-systems and substantial residential sections. 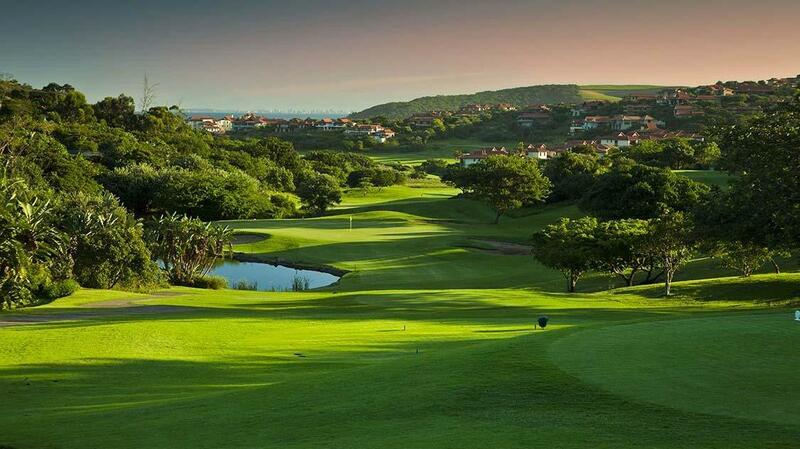 This was no easy task, but the end result is a prestigious South Africa golf course that is ecologically sound, yet it maximizes the natural landscape. Having been described as "an enthralling journey through 18 holes," the changing terrain stretches the skill yet captivates its golfers. With the Weiskopf philosophy of "presenting a fair challenge to any level of play," the essence of this course is that it will reward the good shot and punish the bad. The remains of a ruined farmhouse framed around an ageing wild fig tree dominates the entrance to the clubhouse. 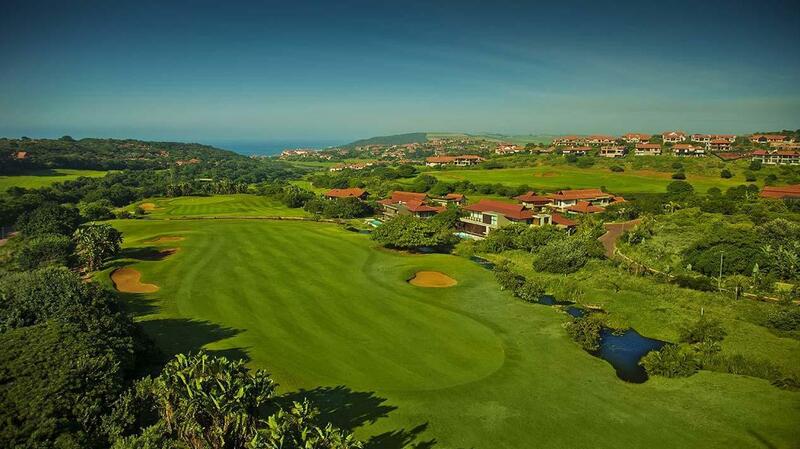 Again construction had to take place around nature and this feature not only marks the entrance of the modern, colonial-styled clubhouse, it also bears testimony to the preservation ethos of the developers of Zimbali Country Club. The clubhouse has been designed and decorated in an African Classical theme, with extensive use of hand crafted décor, fittings and furnishings. Raised decks provide unparalleled elevated course and sea views, trees grow through decking leading down to the 18th green and parking for the course was carefully planned to minimize impact on the forest surrounds. Impeccable service, superb catering, a well appointed Golf Shop and plush cloakrooms enhance the venue even further.